Continuing my ‘indulgence’ for my birthday is this great shot from Fray Bentos. By this time in 1980 I was living in Ford, off St Levans Road and was served by Plymouth City Transport Leyland Nationals on the 8/9 routes, but often chose to take a ten minute walk up to St Levans Gate to catch a Western National into town in the hope that I would get a Lodekka. 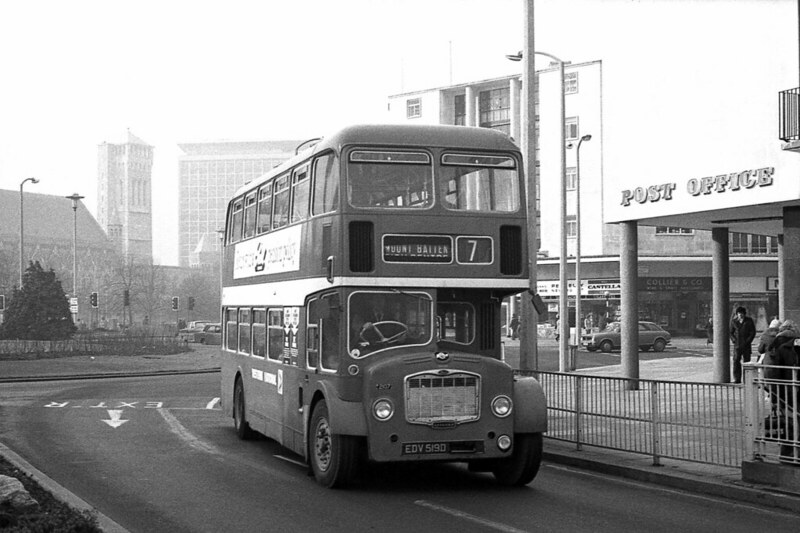 It was either these or a fairly new Bristol VRT - much better than an Atlantean in my view. These days I would be more than happy to ride on a VRT, Atlantean, or even dare I say it, a National over a Dart! I missed the opportunity to ride on Atlantean yesterday but did get to see 201 DDR201C on the road whilst taking Zak to McDonalds for tea. Looked fantastic too!